Queen Victoria was the longest serving Queen of United Kingdom. Check out this biography to know about her childhood, family life, achievements and interesting facts about her. Queen Victoria was Queen of the United Kingdom of Great Britain and Ireland from 20 June 1837 to until her death on 22 January 1901. She became the longest reigning monarch in England, British and Scottish monarchy, a record that stands till date. 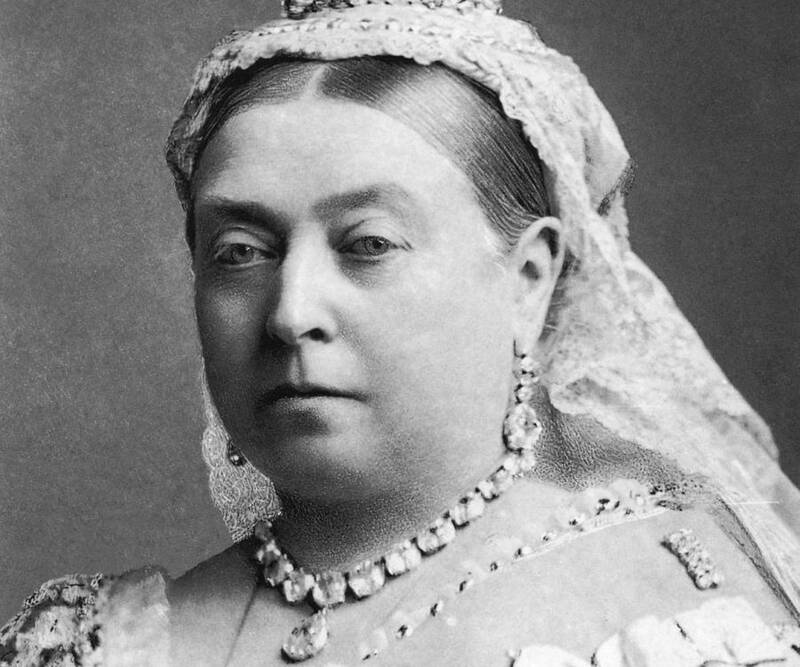 Her reign as the Queen of United Kingdom is known as the Victorian Era, for it was her stern and rigid view on morality, and the urge to watch United Kingdom ascend and become supreme and powerful on the world stage that helped define the age! During her reign, the United Kingdom experienced a massive expansion in almost every sphere - be it technological, communication or industrial. The underground railways that have become an integral part of British transportation system have its foundation dating back to the Victorian era. Similarly, loads of bridges, roads and rail lines that are present today first came into form under her rule. Industrial and technological feats apart, she worked to transform the face of United Kingdom by eradicating poverty and diminishing class difference. The literacy rate also experienced a massive rise during her reign. Queen Victoria was bon on 24 May 1819 at Kensington Palace, London. Her father, Prince Edward, Duke of Kent and Strathearn, was the fourth son of the reigning King of the United Kingdom, George III. 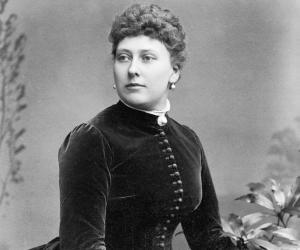 Her mother was Princess Victoria of Saxe-Coburg-Saalfeld. She was christened by the Archbishop of Canterbury in the Cupola Room at Kensington Palace. Baptised Alexandrina Victoria, she was fifth in line of succession, after her father and uncles. 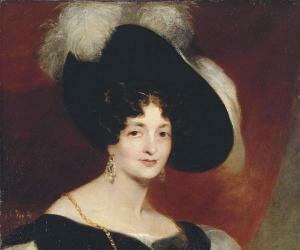 Upon the death of her grandfather and father in 1820, she was next probable heiress to Duke of Clarence, popularly called William IV. Since she was a minor, King William assumed the responsibility until she turned 18. As a child, she was raised protectively under elaborate rules and protocols. Her mother forbade her to meet new people. Due to this, she remained sad and melancholic. She was home-schooled by private tutors, who taught her various subjects and languages including, French, Italian, German and Latin. In her idle hours, she played with her dolls and the spaniel, Dash. Starting 1830, she was forcefully taken on tours across the length and breadth of the country, stopping at towns and country homes, by her mother and comptroller, Sir John Conroy. These trips were greatly despised by her. Upon the death of her uncle, King William IV, she became the rightful and legal heir to the throne. She was chosen the Queen of the United Kingdom. 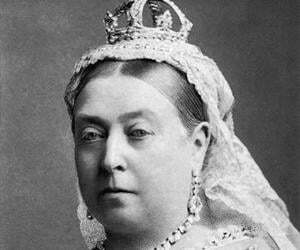 Her first name was dropped and she thence became known as Queen Victoria in 1837. As per the Salic law which was under existence, she was banned from Hanoverian succession, who shared a monarch with Britain. As such, she inherited everything but Hanover which was passed to the Duke of Cumberland, who was next in line to the throne until she married and had a family of her own. The formal coronation was held on June 28, 1838 after which she became the first sovereign to take up residence at Buckingham Palace. Since she was novice and too young to take important decisions, she relied on Whig Prime Minister Lord Melbourne for everything. The two shared a father-daughter relationship. At the beginning of her reign, she was popular but her allegations and derogatory remarks against Lady Flora (one of her mother's ladies-in-waiting) and Sir John Conroy in 1839 caused her reputation to suffer. The abomination led to resignation of Lord Melbourne from premiership. However, in the following weeks, he regained his position. Following her marriage to Albert in 1840, Lord Melbourne took a backseat as Albert soon filled up for his shoes and became her chief political advisor. His influence dominated her being, as he resolved to solve all her issues be it political or personal. During her reign, she experienced several attempts of assassination, first by John Francis who twice tried to take her life and thereafter by John William Bean, William Hamilton and Robert Pate. During her reign, she sought to amend relations with France. For the same, she arranged for visits to and by British royal family and the House of Orleans. She even became the first British monarch to visit a French sovereign. She even visited Ireland in 1849. Unlike Melbourne and Peel, Russell’s ministry did not earn the support and favouritism of the Queen. As a result of this, he was replaced by Lord Derby in 1852. The latter’s governance also did not last long and Lord Aberdeen soon found himself a place in the office in early 1855. Lord Aberdeen’s poor management led to the fall of his government and the emergence of Palmerston as the new Prime Minister. Meanwhile, Napoleon III had become one of the closest allies of Britain. He visited the country in April 1855. The attempted assassination of Napoleon III weakened the relationship between Britain and France. In an effort to revive the same, she reinstated Lord Derby as Prime Minister. However, the latter was yet again replaced by Palmerston due to the unfortunate state of affairs of royal Navy in comparison to their French counterparts. 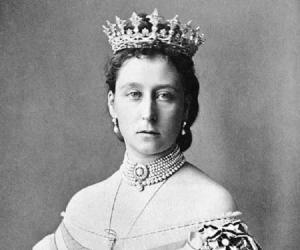 The death of her husband caused her to get into a period of self-imposed isolation during which she refused to take up the duties of the monarchy. She even gave up on appearing in public which was later advised against by her uncle Leopold. In the following years, the office of the Prime Minister was occupied by many including Russel, Derby, Benjamin Disraeli and William Ewart Gladstone. Her seclusion led to the growth of the republican movement. 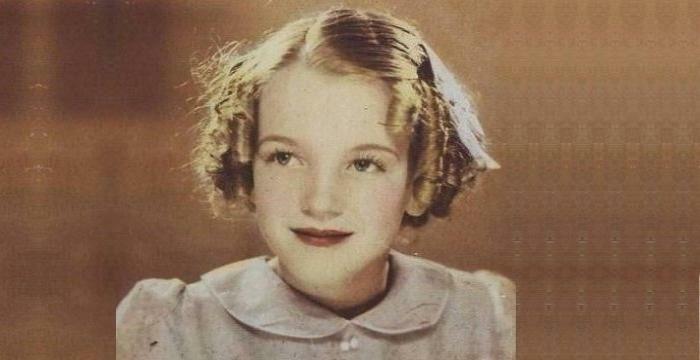 In the following years, she did a number of things to be more visible and regained popularity among the masses. In 1876, under the premiership of Benjamin Disreali, she took up the title of Empress of India. In 1887, golden jubilee celebrations marked Britain as she completed her 50 years of reign. Meanwhile, Gladstone returned to power as the Prime Minister during the 1892 elections. He retired two years later, making way for Lord Rosebery and later Lord Salisbury. September 23, 1896 was a momentous day in the history of British monarchy as she surpassed her grandfather to become the longest surviving monarch of England. The celebrations were clubbed with her Diamond Jubilee. An extensively long procession was carried out with an open-air service outside St Paul’s Cathedral. In 1836, her maternal uncle Leopold brought forth a matrimonial prospect for her - his nephew Prince Albert of Saxe-Coburg and Gotha. Simultaneously, King William too brought the proposal of Prince Alexander of the Netherlands. She was smitten by Prince Albert in the very first meeting and was interested in him. However, she wasn’t prepared for marriage; thus a formal engagement could not be announced but was expected. Both Albert and she shared a warm and affectionate relationship that only grew stronger with time. As such, upon his second visit in October 1839, she proposed to him. The two walked the aisle on February 10, 1840 in the Chapel Royal of St. James's Palace, London. The royal couple was blessed with their first child, a daughter christened Victoria on November 21, 1840. Though she was not fond of children and despised pregnancy, together they had eight more children, Albert Edward (Prince of Wales), Alice, Alfred, Helena, Arthur, Leopold and Beatrice. In 1883, she fell from the stairs – it was further worsened by rheumatism. She remained lame for the rest of her life. Beginning 1900, she developed cataract. She breathed her last on January 22, 1901. Her funeral was held on February 2, in St George's Chapel, Windsor Castle. She was laid in state for about two days after which she was interred beside Prince Albert in Frogmore Mausoleum at Windsor Great Park. 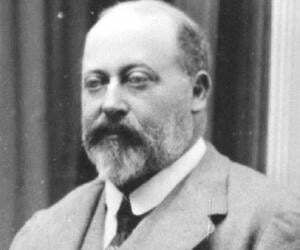 She was succeeded by King Edward VII. Her death was mourned by people across the globe. Numerous monuments have been constructed while several places bear her name to pay honor to her contributions and reign. This exemplary British monarch served for about 63 years and 7 months which is till date the longest time by any British monarch and longest ever by a female monarch. Through the 1860s, there were rumours of a romantic connection between the Queen and a manservant from Scotland, John Brown. The story of the relationship between the Queen and John Brown was the subject of the 1997 movie Mrs. Brown.